1. 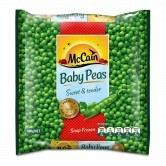 Place McCain Baby Peas, cucumber and red onion in a bowl and toss to combine. 2. Place whole egg mayonnaise, honey and lemon juice into a small bowl and use balloon whisk to mix until smooth. 3. Divide cos lettuce leaves evenly among serving plates, top with the pea mixture and slices of smoked chicken breast. 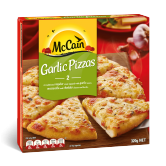 Drizzle with the dressing, top with parmesan and serve immediately with your favourite McCain Pizza. 1 Place McCain Baby Peas, cucumber and red onion in a bowl and toss to combine. 2 Place whole egg mayonnaise, honey and lemon juice into a small bowl and use balloon whisk to mix until smooth. 3 Divide cos lettuce leaves evenly among serving plates, top with the pea mixture and slices of smoked chicken breast. 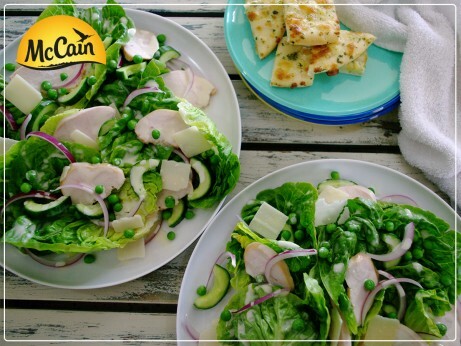 Drizzle with the dressing, top with parmesan and serve immediately with your favourite McCain Pizza.